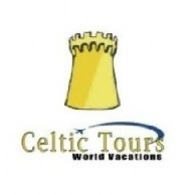 All Celtic Tours tours, river cruises, expedition cruises, and adventure trips. Find the best guided trips and expert planned vacation and holiday packages. Average rating of 5.0 for all Celtic Tours trips. Zadar’s historical center is a pedestrian zone, perfect to explore on foot. Enjoy the Walking tour of the historic inner city shows off the Roman Emperor Diocletian’s Palace, a UNESCO World Cultural Heritage site. Visiting Culross and Falkland in the Kingdom of Fife.